Utkal University invites applications for Utkal University PG Entrance Test for admission to post graduate programmes for the academic year of 2017-18. The aspirants who are searching for the details can read this page for some updates. However, the official notification will declare soon in the university page. Here we have updates regarding application details, eligibility, admission process and important expected dates. We hope this page will be helpful to applicants to find the Utkal Univ PG Admissions 2017. The admission to Utkal University PG courses is open now. Candidates seeking admission to Utkal University PG courses are required to appear in the Utkal University PG Entrance Test 2017. The entrance test will be conducted from 7th to 15th May for admission to regular and sponsored postgraduate courses offered by the university. For Ancient. 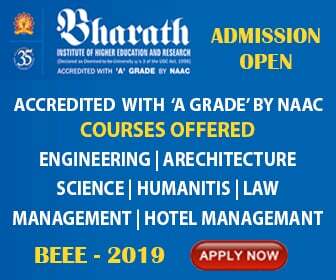 Indian History, Culture & Archaeology candidates with at least Second class Honours In History/ second class Honours in other subjects with 50% marks in Archaeology and Museology as a pass subject at the + 3 Degree level are eligible. For Public Administration candidates must have obtained at least Second class honours in Public Administration/ at least 50% marks in aggregate at +3 Degree level. However an advantage of addition of 5 or 10 marks to the career marks for candidates passing B.A. with Political Science as pass or Honours subject respectively. For Psychology candidates Graduate with Psychology as a subject having at least 2nd class Honours or at least 50% aggregate marks at +3 Degree level are eligible. An advantage of addition of 10 marks to the candidates passing B.A. with Library Science as a Pass / Honours subject & for candidates who have qualified one year B.Lib. Inf. Sc. Candidates must apply for admission by filling and submitting completed application form before 7 June 2017 (tentative). The application form may be collected from the Office the Chairman, PG Council or from the Office of the Heads of the Department on payment of Rs. 600/- at the university cash counter. The candidates can also obtain the application form from university website. All fields in the application form should be correctly and completely filled-in with the relevant information. Entrance Tests for different PG courses: 7th to 15th May 2017. The 1st part of the question shall be purely multiple 50 choice and objective type. The admit card will be available on the official website 10 days before the exam date. The applicants after completing the application process can check the details on our page. The contenders must have the hall ticket compulsory to write the exam. We will provide with all the required information & links soon on our page. The hall ticket for written can be downloaded from the website and the Viva Voce Admit Card will be sent through SMS, E-Mail. The results will be declared on the official website once the exam is completed successfully. The postulants can visit our page to get the latest updates about the Utkal Univ Entrance Result 2017. The candidates who qualify the exam can also get the details about the further process of admissions. The aspirants will be provided with all the required information to prepare for the viva voce. Utkal University also known as Vani Vihar is the oldest university in Odisha located in Bhubaneswar, Odisha. Utkal University has twenty-seven PG Departments located in the University in various disciplines of Humanities, Science, Business Administration, Law, Commerce and Social Science. University as almost 267 affiliated Colleges.